Police are holding an information roadshow to help parents keep kids safe on summer trips and give tips to nervous new drivers. If you need to know the best way to protect children while they are in vehicles or even want your car checked over, road policing officers from Forth Valley will be in Falkirk’s Central Retail Park on Monday (August 22). Falkirk Council and the Institute of Advanced Motorists will also be on hand to give advice. Sergeant Ruth Aitchison said: “We’re keen to speak to as many road users as possible, whether you’re a driver, cyclist or pedestrian, young or old. 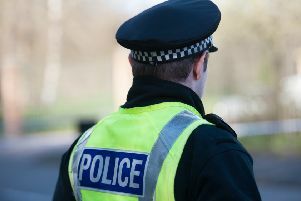 “Everyone who uses the roads has responsibility for road safety and it’s a priority for Police Scotland to both educate and enforce the law where necessary. The roadshow will be outside Tesco between 10am and 2pm on Monday.